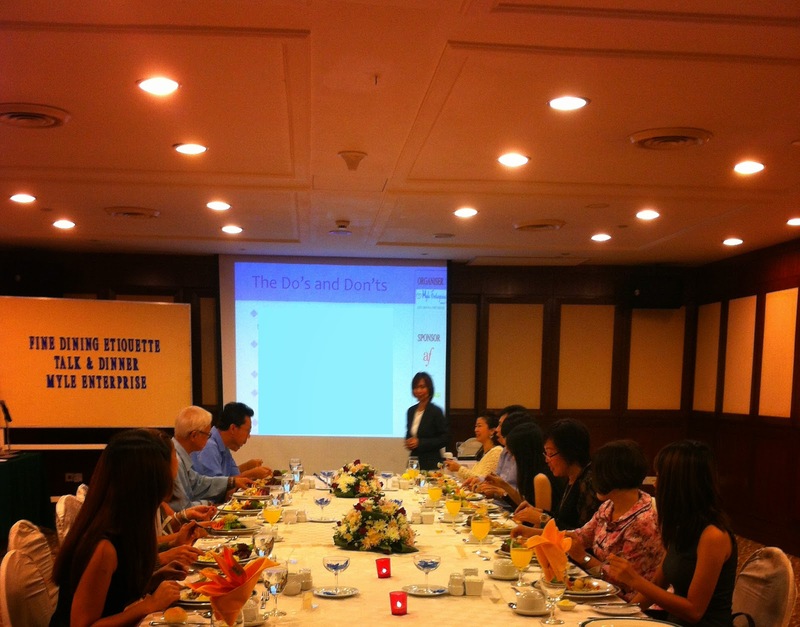 Our Fine Dining Etiquette Talk & Dinner went well on 29 November 2014. We have uploaded a picture album on the event at Myle Enterprise's Facebook photo page. For previous updates and pictures uploaded to our Facebook event registration page, the link can be found here. Everyone who have contributed in one way or another to this event. You have all created awareness to the dining etiquette talk and we appreciate it. Our dining etiquette talk is now officially launched and if anyone is interested in this talk in the future (be it to attend or to have this as your organisation's program), please do not hesitate to contact us.